The last milonga at El Valenciano. Photo by Stanley Wu. “Where did the time go?” asks Julian Ramil, and as they both shake their heads his wife Claudia repeats: “Yes, where did the time go?” We were talking about El V, one of the best-known milongas in San Francisco and beyond, and which was about to celebrate its 20th anniversary on May 30th at the very same venue where it started in 1996. However, at the time when I was talking to the Ramils in early April, El V was about to close its doors forever. It looked like the much anticipated 20th anniversary celebration was not going to happen. The proprietor of El Valenciano, the restaurant/bar/dance club which had served as the venue of this popular tango social, had decided to sell the business. 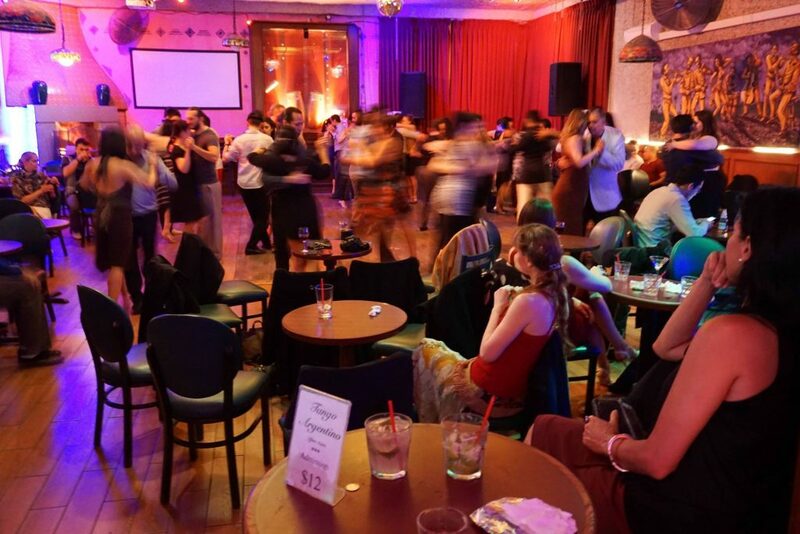 The Ramils, together with other long-time tenants of the dance club, had received notice about the termination of their lease, that very afternoon of the last milonga. This meant they had to break the news to both the local and the wider tango community — and find a new venue quickly.